Egyptian Chronicles: Shutting Down El-Nadeem Center : The end of one hell of a week "Updated"
Shutting Down El-Nadeem Center : The end of one hell of a week "Updated"
Earlier Thursday, Egyptian security forces shut down by force El-Nadeem Center for the Rehabilitation of victims of torture in Downtown Cairo. According to its co-founder Aida Seif El-Dawla, the security forces went and shut down the center with red wax on the staff's off-day. It is worth to mention that Seif El-Dawla who is a renowned human rights activist has been barred from travel in November. 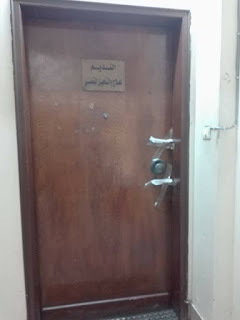 The Egyptian authorities tried to close the center before last year at the same time !! Since 1993, El-Nadeem provided help to victims of torture and abuse. I do not know what to say for real. 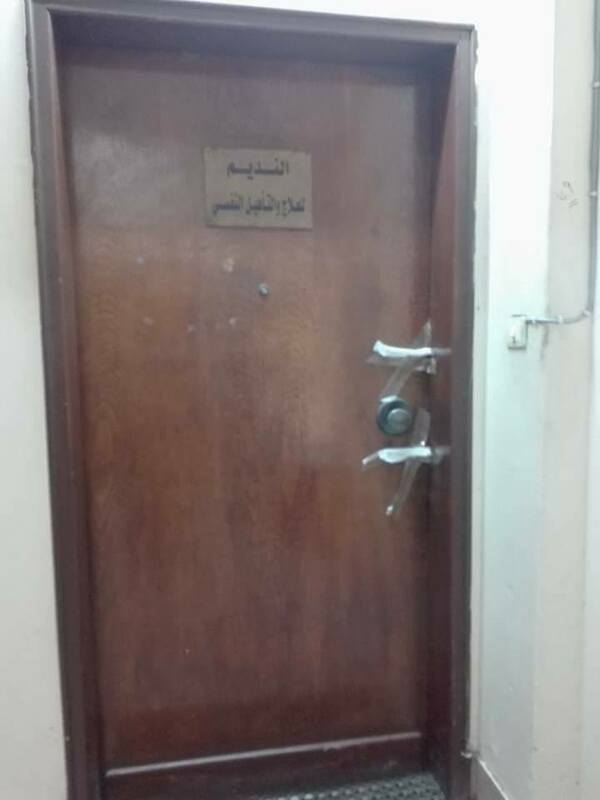 On Friday, the Center issued a statement about what happened to reveal that El-Nadeem staff appealed against the decision of the health ministry to close the center and its clinic in front of the Administrative council and up till now the court has not issued its verdict on the appeal. It is interesting that center added in its statement that the Government's lawyer did not present a single paper to court against their appeal. The EU commented on the closure of El-Nadeem Center later Thursday stating that "It is a development of particular concern". I do not expect the US Department of State or White House to comment as they used to do before for an obvious well-known reason. Amnesty international slammed the decision of the Egyptian security. Needless to say, Egyptian political activists are supporting El-Nadeem center. Most activists look to what happened as another crackdown on the NGOs especially human rights NGOs. The news of El-Nadeem came in the end of a week that witnessed frustrating developments when it comes to torture cases. Do you remember the case of poor fish seller Magdy Makeen and how his family accused policemen tortured him till death at Al-Amiriyah police station in November !? Ten policemen were officially accused by the prosecution of torturing Magdy Makin till death in December. Four policemen were kept in custody while the six others were released on an LE 3,000 bail each in the same month. Among those who were detained, police officer Karim Magdy who is considered the main defendant in the case. Magdy was released from detention on an LE 5,000 bail on Tuesday by a court order. 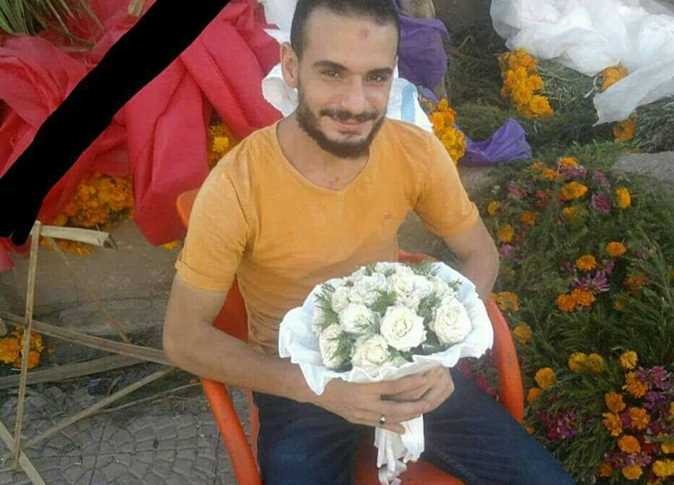 Then on Wednesday, news came from Gharbia governorate that hundreds of people protested in the city of Kafr El-Zayat over the death of a young man from torture in a police station there. The people accused policemen of torturing 24-years old Ehab Mohamed Abdel Gaber till death. Gaber's family say that he was arrested and two other men earlier over security concerns without real charges. The two men say the 24-years old young was tortured and electrocuted to death for no reason. He was not accused of anything. The police denied that Ehab Gaber died because of torture. On Thursday, Kafr El-Zayat prosecution decided to summon the policemen of the police station where Gaber was detained. I think that tells you much about how much El-Nadeem Center and some similar NGOs are needed currently.